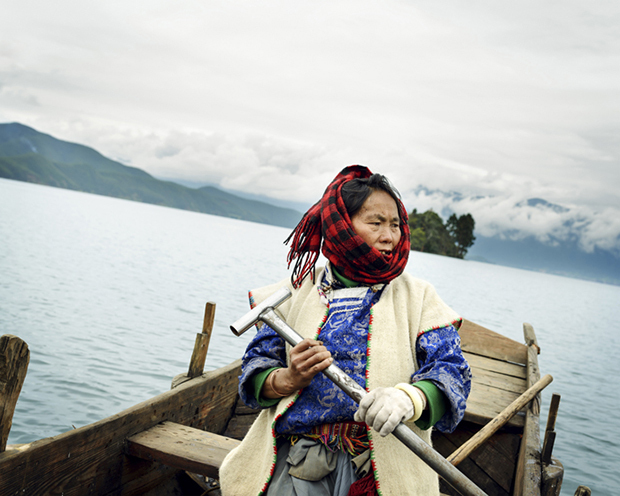 Lugu Lake has in recent years been dubbed “The Kingdom of Women” or “The Kingdom of Daughters,” and the Mosuo matrilineal society is part of what drew Klüppel. Traditional Mosuo families practice zuo hun (walking marriage, in English). The women select their partners, determine the family name, and have parental rights as well as property rights. 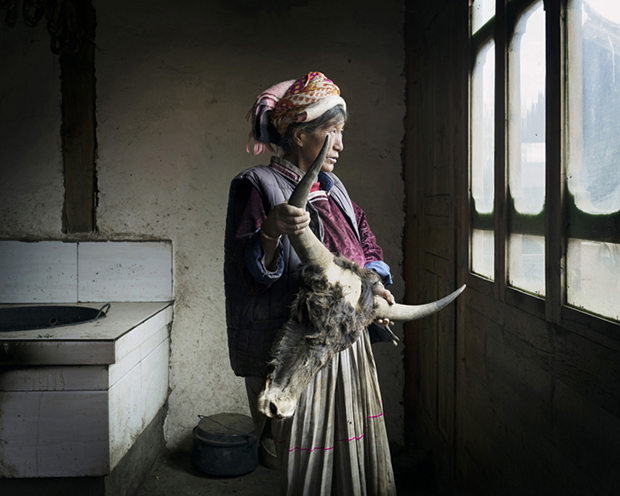 A Mosuo woman can keep or change partners at will, and the men are expected to call on the women at night. As The Guardian reported in 2010, there are no words in the language for “husband” or “father.” Children simply refer to the male figures in their lives as “uncle,” and they stay with their mother’s family for the duration of their lives. 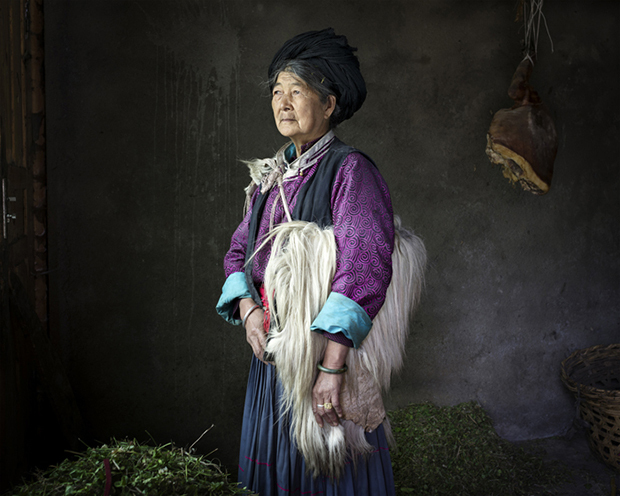 Mosuo women control the family’s finances, and they assume the role of the heads of their households. Still, Klüppel stresses, women do not have much political pull, and the Daba religion, practiced by Mosuo for centuries, recognizes male priests. 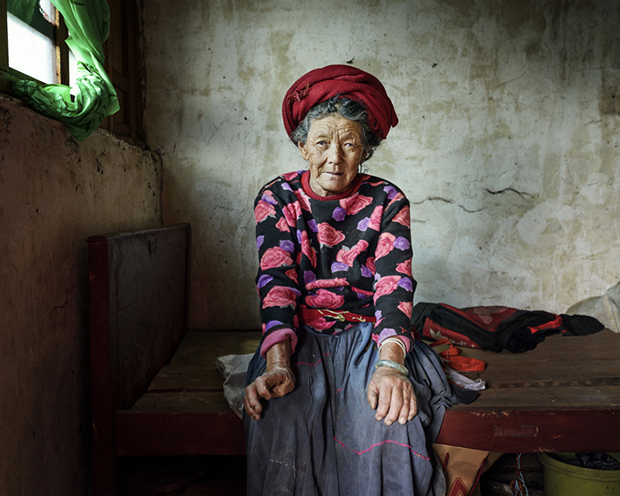 In her time at Lugu Lake, Klüppel saw somewhere between two to three hundred households, covering as many as three villages in a single day. She traveled with a translator to bridge the language barrier, and in most houses, she shared tea and food with the families. 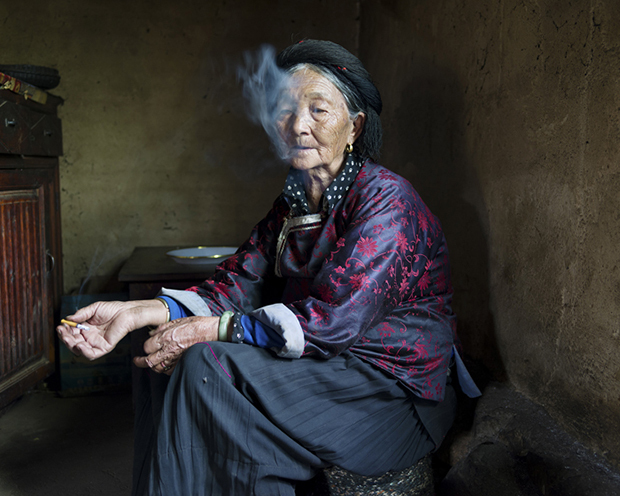 Throughout her journey, the photographer focused on the older Mosuo women, sometimes called Dabu. These individuals had in some ways lived multiple lifetimes: the years before the Cultural Revolution, the difficult 1960s and 1970s, and now, the age of the tourist influx. Although later years brought the freedom to follow their own societal guidelines, the Mosuo contended with poverty. Tourism has brought some economic wellbeing to families closest to the lake, but that security comes at a price. “They feel that their culture is fading,” Klüppel says of some of the women she met. There’s still pressure from the government to conform to the Han Chinese way of marriage. The photographer can’t know what lies ahead for the Dabu. She was able to share her pictures during the trip, but she’s no longer in touch with the women. There’s simply no way for them to be in contact. She longs to return— perhaps next year, when she’ll be helping a filmmaker tell a story about matriarchal cultures. In the meantime, Klüppel saw signs of the enduring spirit of the Mosou people, their history, and their culture. The Dabu won’t vanish without being seen and heard. 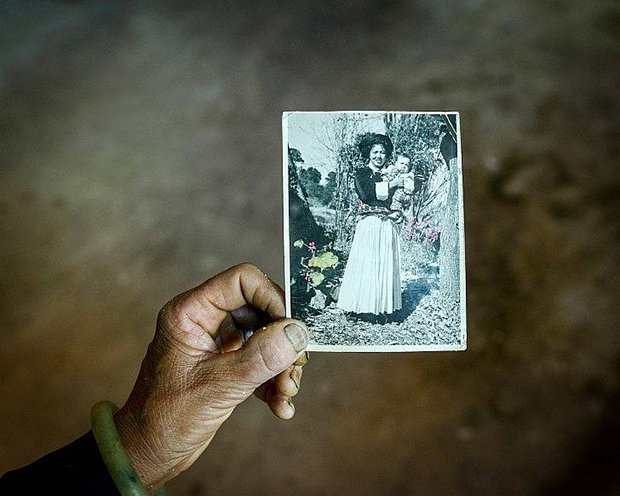 The photographer’s own driver and translator, as it happens, brought everything he earned back home to his mother. She was still in charge. The kitchen of Sada Dorma. For the Mosuo, the old wooden boats are still an important means of transportation. There are no electric boats allowed on the lake, because they would pollute the water, which is of exceptional quality. 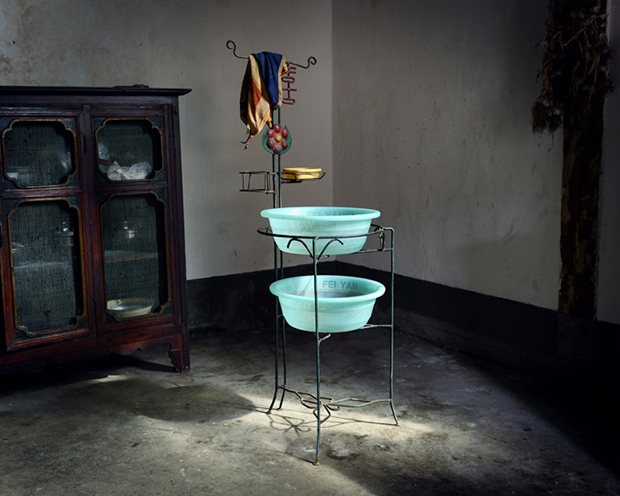 The washbasin of Du Zhi Ma’s family. There is still no running water in her house. 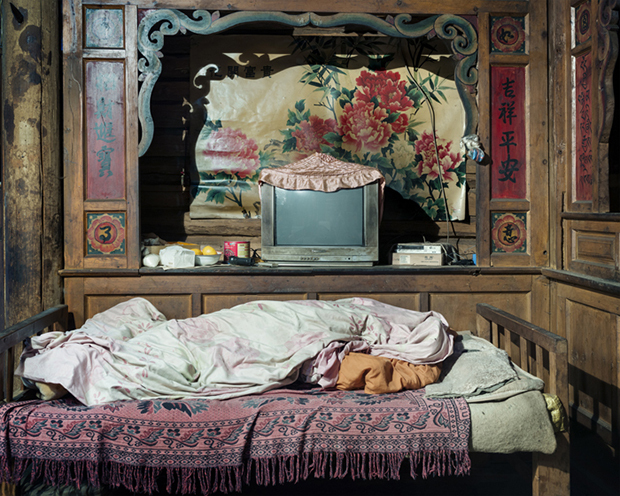 A traditional Mosuo bed near the fireplace. 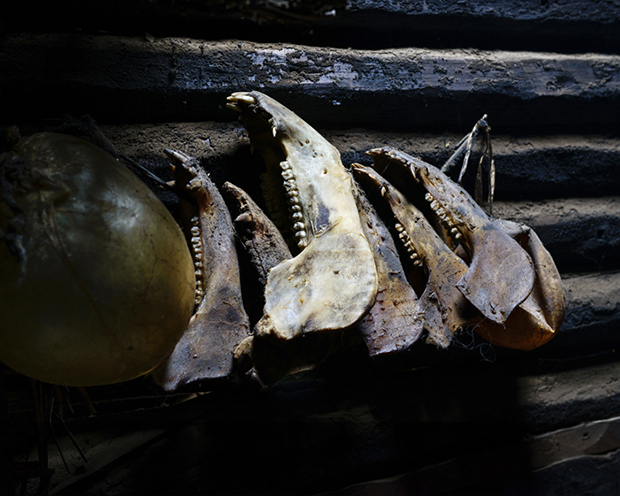 Several pig jaws hanging over the front door. 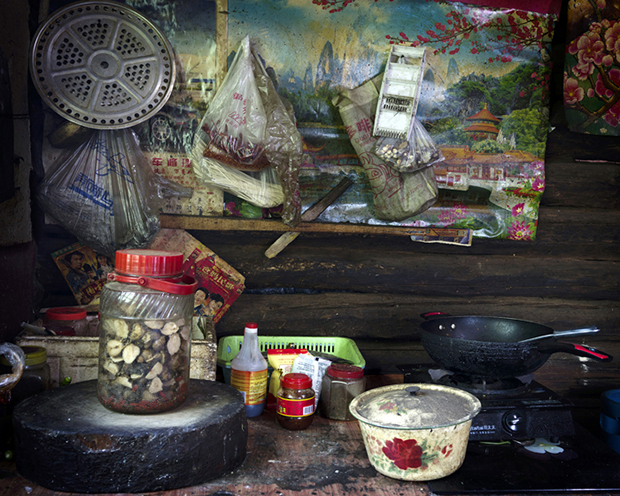 The Mosuo are known for their preserved pork, which is kept for more than 10 years and can be used as needed.